Petr Cech completed his move to Arsenal from Barclays Premier League champions Chelsea on Monday afternoon, and opted to pen a open letter to both the supporters and staff of his former club. 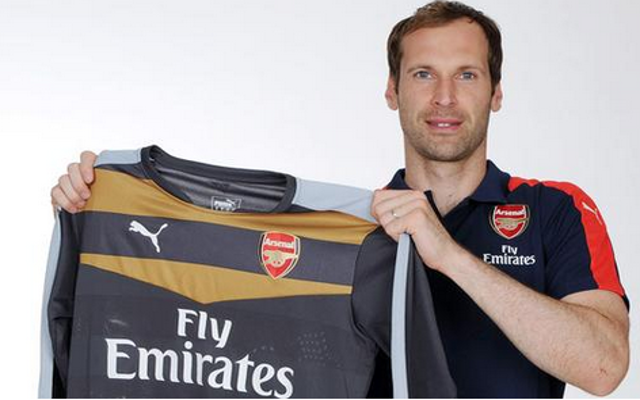 The Gunners confirmed the signing of the world-class goalkeeper via their official Twitter account. The 33-year-old has brought an end to 11 successful years at Stamford Bridge, during which time he’s won every single major honour available to him, including a fourth Premier League winner’s medal last season. The recall of young Belgian stopper Thibaut Courtois from La Liga outfit Atletico Madrid last summer raised questions as to who Blues boss Jose Mourinho would name as his number one for the campaign. Mourinho sided with youth, meaning Cech had to settle for a place on the bench as well as the odd league and cup game throughout the season. The Czech international made just seven appearances in the league last year, however he did start in the Capital One Cup final victory over Tottenham at Wembley back in March. His departure to a rival may surprise many including Blues fans, and Cech has explained his decision in an open letter which can be read in full on his Twitter account.